Seufert Bros. Co, The Dalles, Ore. , employee list, 1909, Chinese Exclusion Act case files, RG 85, National Archives-Seattle, Wong Fook file, Portland, Box 5, Case 1700. 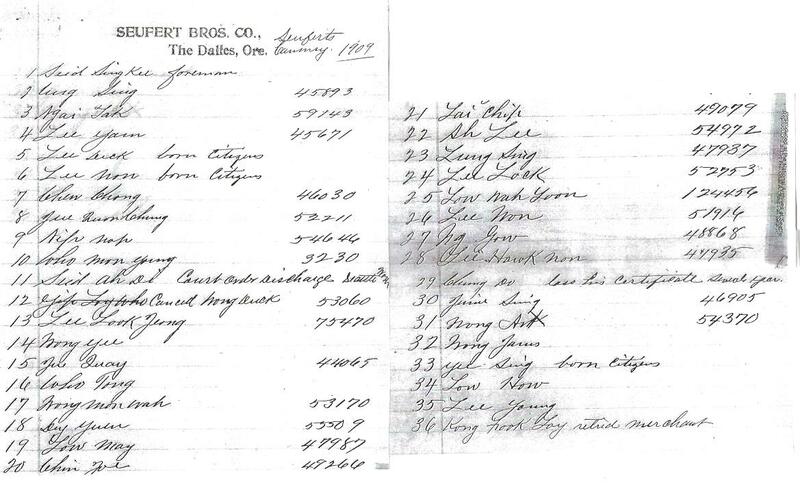 This is a 1909 list of Seufert Brothers Cannery employees. It includes their certificate of identity numbers. They were probably all living the bunkhouse that was destroyed by a fire on 12 April 1909.